Posted by Rob Schaerer on Tuesday, October 21st, 2014 at 4:01pm. 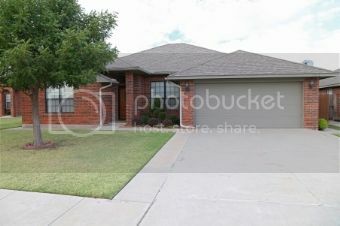 1213 Sumac Dr. Norman, OK Just Listed! Close to OU and move-in ready! New Carpet and paint! 4 Bedrooms, 3 Bathrooms, and 2 living areas. Granite countertops in the kitchen, which is open to the living room. Split bedroom plan with large master bedroom and closet, with double sinks and separate shower and tub. Enclosed patio is not counted in Sq. Ft. but is air conditioned.